Every day we turn on the television, we hear report after report about the poor state of health concerning young people. Reports reveal that we are raising sedentary children who play less outside and are inactive. While statistically this may be true, it does not only apply to children but to the adult and senior population as well. With all of our advances in science and the medical field, the good news is, we are seeing a growing number of people who are living longer. To ensure health and well being, adults and seniors need to beware of falling into the same claims of a sedentary lifestyle as our children. One way that we can do this is through a regular regimented exercise program. 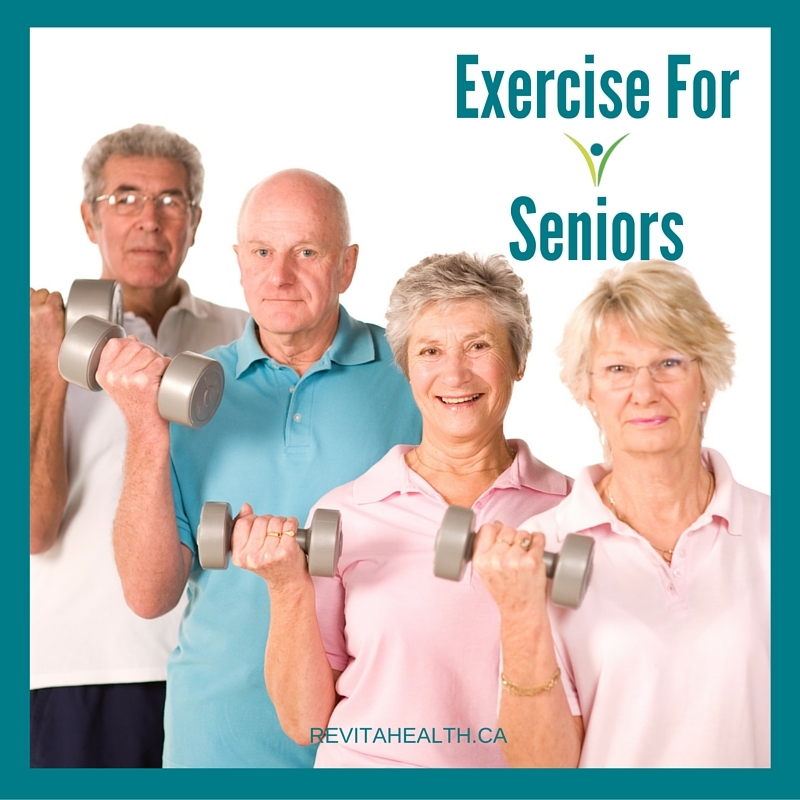 Studies have shown that seniors who exercise have long term health benefits including longer life expectancy and an increase in likelihood of being more independent later in life. For beginners, it can be very difficult to start an exercise regime, especially if you did not participate with regular exercise in younger years, but it is always a good time to try and better your health. Start with little steps, take a walk around your neighbourhood and enjoy the beautiful gardens, join a class at your local community centre or even do simple exercises at home using everyday items such as a chair for sitting tricep dips or soup cans as your extra weight for resistance exercises. Remember, being active helps not only with strength, balance and flexibility but it also helps to keep you mentally strong and active as well. If you are looking for more information about various activities that are available for seniors in your local community, check out one of the links below.